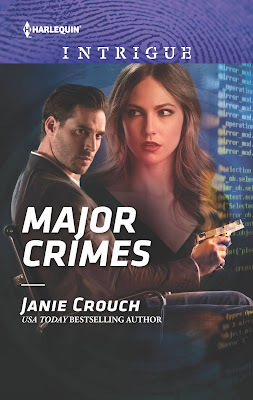 MAJOR CRIMES, my new stand-alone romantic suspense part of the Omega Sector: Under Siege series, is available in stores now! This book is one of my personal favorite stories that I’ve ever written (and believe me, I don’t say that about all my books :D ). I’ve read some books where the hero arrested the heroine and the charges ended up being false. That led me to the thought: what if the hero arrested the woman he loved and she was actually GUILTY of the crime? The book flew from there…some heartbreaking (and redemptive!) happenings that made for a gripping tale. “And how many hours a week do you have to work here to make ends meet? You look tired.” He touched her hand lying on the table before he could think better of it. She snatched it away as if she’d been burned. Cain wanted to feel relief that she didn’t blame him. That she understood he’d been doing his job. But he knew there was more. He started to interrupt, but she held out a hand to stop whatever he might say. 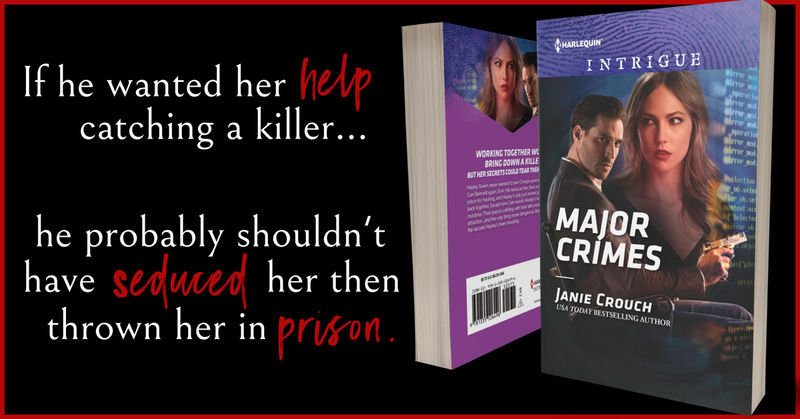 I hope you’ll check out MAJOR CRIMES today! If he wanted her help catching a killer… he probably shouldn’t have seduced her then thrown her in prison. 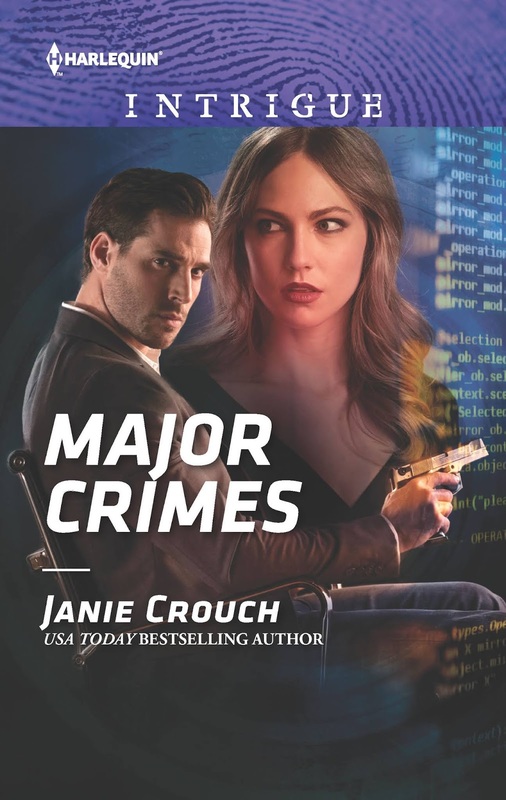 USA TODAY bestselling and award-winning author JANIE CROUCH writes what she loves to read: passionate romantic suspense. She recently relocated from Virginia to an American military base in Stuttgart, Germany with her hubby and four kids. She loves engaging in all sorts of adventures, travelling, and movies of all kinds. Harlequin Intrigues have been a favorite for many years. Always a good, suspenseful read. Hope you had a wonderful 4th of July. This entire series has been great!